John R. MacArthur is publisher of Harper’s Magazine and author of the book You Can’t Be President: The Outrageous Barriers to Democracy in America. This column originally appeared in the Providence Journal on January 18, 2012. In the outpouring of accolades that followed the death of Christopher Hitchens, I confess I joined in, trying my best to claim some of his journalistic legacy. 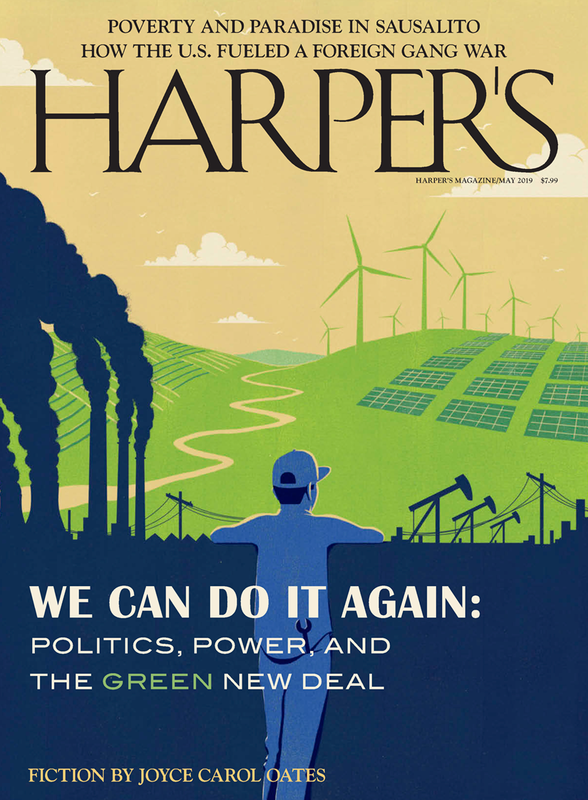 Because the obituaries failed to mention his service as the Washington editor of Harper’s Magazine, of which I am the publisher, or that his landmark book The Trial of Henry Kissinger originated as two long pieces in the magazine, I boasted of his relationship with Harper’s on our website. My feelings about Hitchens—after he embraced the stupidity of invading Iraq—were confusion and disappointment. So disorienting was Hitchens’s conversion to war hawk that I hardly knew what to say, either in private to him or, for that matter, in public. It was on Phil Donahue’s short-lived MSNBC TV show that I witnessed the beginning of Hitchens’s depressing decline. As a long-time critic of U.S. and Bush family policy in the Mideast, I had exposed much of both Bushes’ self-justifying and often false anti-Saddam Hussein propaganda. So I was recruited for Donahue’s September 12, 2002, segment on W.’s escalating campaign to invade Iraq. Against me were slotted, first, a Bush I P.R. man, Sig Rogich, and second, a Bush II promoter, Rich Lowry, editor of National Review. Going one on one against Rogich, with Donahue clearly on my side, was relatively easy. But I thought the second round of the show would be even easier, since Lowry and I were joined by my traditional ally Hitchens. The latest casualty, Hitchens claimed, was American democracy: “The Gulf buildup had… brought the renewal of a moribund consensus on national security, the disappearance of the… [post Cold War] ‘peace dividend,’ and re-establishment of the red alert as the preferred device for communicating between Washington and the people.” The elder Bush’s “cause was yet another move in the policy of keeping a region divided and embittered, and therefore accessible to the franchisers of weaponry and the owners of black gold.” This was Hitchens at his best, and also his most prescient, since these observations applied almost perfectly to the next Iraq buildup, eleven years later. But by 2002, on the Donahue show, Hitchens was pushing an altogether different analysis: Suddenly the Bushes were credible and he was credulous, not to mention disingenuous, as when he called me an “isolationist” who believed “quite honorably, that what happens in the rest of the world is not our concern and we only make things worse by intervening.” The first half of his criticism of me was false, but the second half was largely true: I, like the old Hitchens, thought that America’s military interventions since World War II had been largely toxic. After the Donahue show, I only saw Hitchens one more time—at the Harper’s Christmas party that year. In spite of everything, he still made me laugh with his arch, classically educated English sense of humor. At our next televised confrontation, he predicted, “we would be armed with tridents.” I wondered, briefly, if his attitude was all a pose. I’ve heard it suggested that Hitchens switched sides for the “money”—that there’s simply more to be gained on the right than on the left and that even a deeply dedicated leftist can get lonely and tired, always out in the cold, always at a remove from power. My theory is that he went mad as he consumed huge amounts of alcohol. Booze is mind-altering and it may well have damaged his impressive powers of reasoning. But I can’t pretend to understand. More than 100,000 corpses later, I think Amis had it right.